Is the Automotive industry a good business opportunity for Photonics manufacturers? Which photonic technologies are likely going to be widely adopted in cars? Automotive has long been a traditional industry. 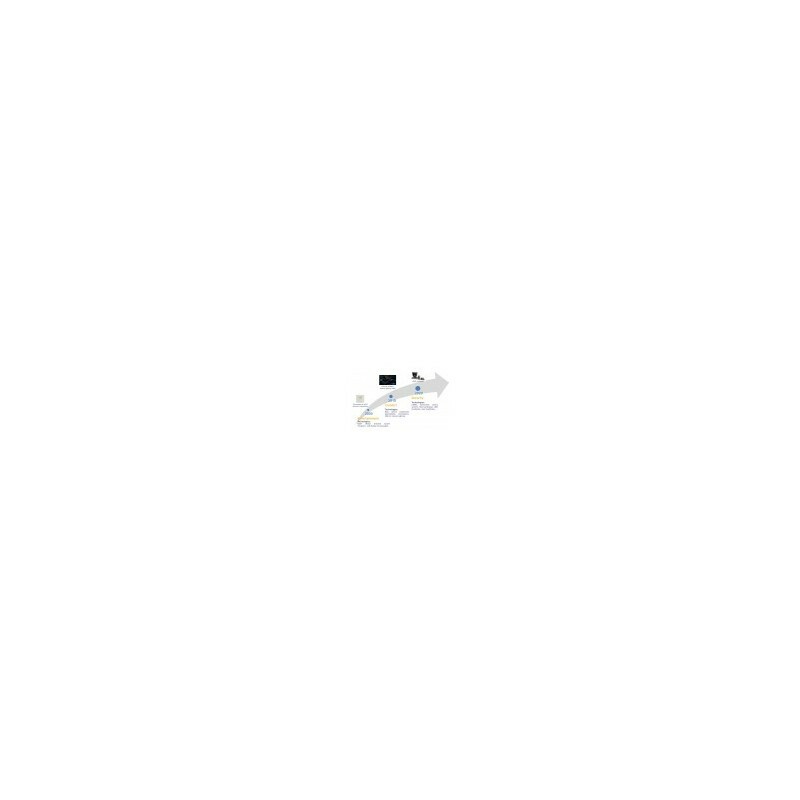 However, for the last fifteen years, car manufacturers have demonstrated increasing interest in new technologies in all areas: powertrain, lighting, driver assistance… It allowed the release of highly-performant electric vehicles, laser headlamps or parking assistance systems. 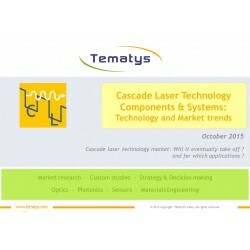 The trend toward innovation is a huge opportunity for the Photonics industry. Until recently, Photonics was integrated into car only through lighting functions. However, photonic technology provide critical functions for imaging, sensing, smart displaying or for media communication networks. As a consequence, Photonics is expected to be widely adopted beyond lighting. Our report provides the segmentation of existing and future photonics technologies embedded in cars as well as market forecasts of Photonics in all segments : ADAS (Advanced Driver Assistance System), Interior of the cabin, Exterior of the car, Powertrain. The demand for considerably fewer accidents has been expressed by a number of stakeholders worldwide. According to the NHTSA, human error is the critical reason in around 90% of all car accidents. (source: NHTSA’s 2008 National Motor Vehicle Crash Causation Survey). The automation of certain driving tasks would help reduce the human error factor and so the number of car crashes. It is the reason why Advanced Driver Assistance Systems (ADAS) are investigated and implemented in cars. Photonics is a key enabler of ADAS. Indeed, cameras, combined with non photonic technologies already allowed reliable parking assistance. LIDARs and cameras will enable new functions such as automatic emergency braking. Infrared camera systems or adaptive frontlighting will allow safer driving at night. This report presents in detail ADAS functions and provides a deep analysis of the photonic technologies available to fulfill these functions. The Photonics market in ADAS is expected to grow at a 22% CAGR ! ADAS is one of the most promising segments in terms of economic perspective for photonic technologies manufacturers. Indeed, the market of Photonics in ADAS will grow from around € 2.8b in 2014 to around € 9b in 2020 with a CAGR2014-2020 of around 22%. Today limited to few thousands of units per year in the luxury car segment, high-end photonic systems have the potential to reach tens or hundreds of millions units/year thanks to strong cost decreases while keeping high performance abilities. 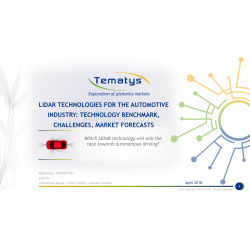 In this report, a detailed market forecast by technology (cameras, LIDAR, photodiodes, night vision systems, Visible Light Communication, adaptive lighting, head-up displays) of Photonics in ADAS from 2013 to 2020 is provided. Adoption rates over years by photonic technology is also presented. 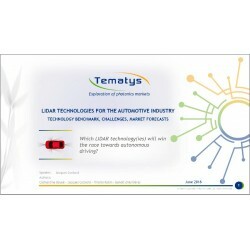 Detail the use of photonic technologies in automotive applications. Understand needs and drivers of the Automotive field regarding the adoption of new technologies. 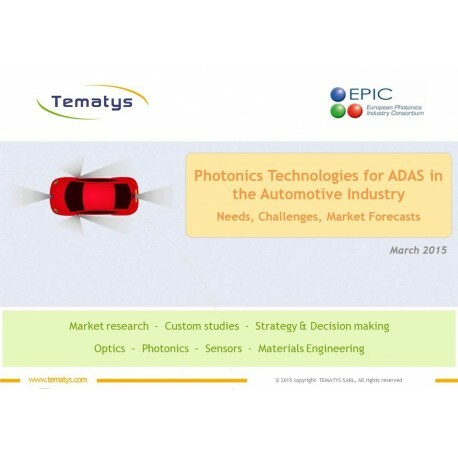 Identify opportunities for the implementation of photonic technologies in ADAS. Provide current and future adoption rates of photonic technologies in ADAS. Demonstrate the potential of photonic technologies in the evolution towards active safety and automated driving. Identify key players along the value chain : OEMs, suppliers, components manufacturers. Car manufacturers and Tier 1 suppliers involved in the development of ADAS are also quoted in this report. Photonics manufacturers interested in understanding technological needs of the Automotive industry. Carmakers and automotive suppliers wishing to scout new technologies for ADAS.